I lived in Queens, the lesser known of New York City’s five boroughs in the 1970s. But once in a great while, we still visit Manhattan and Queens. 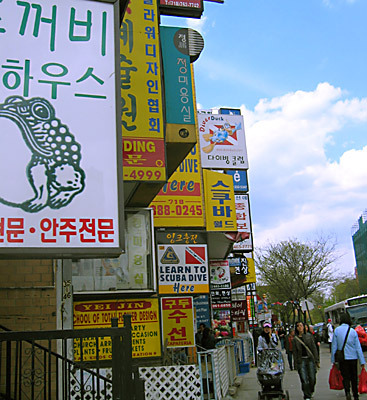 Recently we visited Queens and stayed with our relatives in Flushing for four days. That was in December of 2011. I showed my kids the place where I lived in Flushing. Back when I lived there, I would get off No. 7 train (Flushing is the last stop), follow Main st, take right on Maple Ave and then a left at Saull Street. The first building on the right is where I lived. To visit places, we used No. 7 train of the New York City’s subway systems going from Flushing to Manhattan and back. Located across the East River from Manhattan, Queens is home to LaGuardia and Kennedy International airports. Wherever you go in New York City – all five boroughs, you would find ethnic neighborhoods all around you. I guess that’s what New York City is all about. People come from all over the world. You need close to a lifetime to visit and really enjoy these different places. Here are the few places we visited during our five-day four-night stay. 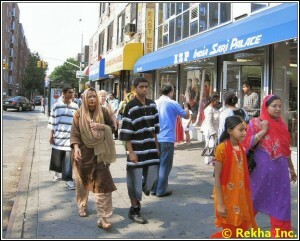 Jackson Heights is one of New York’s most ethnically diverse neighborhoods, with people from Asia, Africa, Central and South America,the Middle East and Russia. When you get off No. 7 train at the 74th and Roosevelt, you would find yourself right in Little India – the area surrounding 74th Street between Roosevelt and 37th Avenues. This is home to thousands of Indians, Pakistanis and Bangladeshis. Wherever you go in Little India, you would hear and see everything from Bollywood music blaring from storefronts to windows filled with brightly colored saris or sarees to the many restaurants and diners offering mouth-watering South Asian cuisine. Here you can pick up Indian gifts, including statues and prints of Ganesh, intricate gold jewelry, sitars and sari and dupatta (head scarf). While you are visiting Little India, don’t forget to pick up some Bengali or Pakistani sweets at one of the neighborhood’s many diners and sweet shops. No trip would be complete without visiting the great neighborhood of Flushing. It’s the second home to Chinese art and cuisine, the first being China town in Manhattan. Flushing is the last stop on No.7 train. Go ahead and have a generous helping of Chinese food – dumplings, wontons, hand-made rice noodles, cumin-dusted lamb skewers, shaved ice with tapioca pearls, chopped mango or sweet beans. At the Flushing Mall and Golden Mall, you will find dozens of food vendors offering delicious varieties of authentic Chinese, along with Korean, Thai and Vietnamese dishes. After having a good hearty meal, spend some time simply walking up and down the area’s crowded, hectic streets. Take pictures of the storefronts decorated with Chinese and other Asian characters. You would find shops selling traditional herbal remedies. When you get thirsty, drink a cup of bubble tea – a milky tea served with chewy tapioca balls. Tucked away on a side street, a short walk from the 61st Street station in Woodside on No. 7 train, is what is popularly considered New York’s best Thai restaurant named Sripraphai. With more than 50 appetizers and soups and almost 80 entrees, there is definitely something delicious for every member of the family. 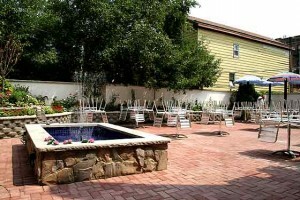 Grab the N train and head to Astoria and the Bohemian Hall and Garden. 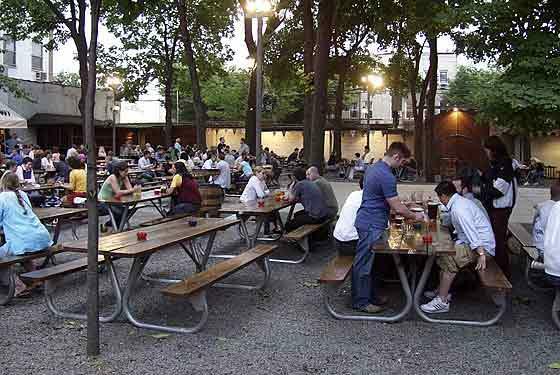 This is the last remaining beer garden in New York City. On a warm day, skip the indoor bar and head out back to the garden. Outside on picnic tables shaded by tall trees, you can enjoy such Central European staples as kielbasa, sauerkraut, goulash, schnitzel and pirogis. Wash it down with pitchers of Czech beer. For a leisurely walk in late afternoon, head over to Flushing Meadows park. It is home to the famous Unisphere and former observation towers from the 1964 World’s Fair. The park is also home to the New York Hall of Science, the city’s only hands-on science and technology center, along with the Queens Museum of Art and the Queens Zoo. The Queens Museum of Art is a visual art center offering fine arts exhibits, performances, films and educational programs. You can do research on New York City. FBI and local police reports say that the city is one of the safest big cities in the world. I guess when I lived there, it was safe too but probably not as safe as it is today. So get out there and visit all five boroughs. Whenever we visit New York City, we try to stay in one borough and in one neighborhood to really get the feeling of some ethnic activities and food is usually at the top of our list.